If you are looking for a new bathroom installation in Nottingham then look no further than A1 Kitchens and Bathrooms Ltd. We are a family run firm of specialists with over 30 years of experience. We also support young ambition and employ a fully trained apprentice team. We have our own showroom with fitted kitchens, bathrooms and bedrooms displayed for you to leisurely walk around. Our friendly and helpful team are always willing to assist you and point you in the right direction. Everything we offer is designed to use every space, be it for a compact kitchen to a more spacious area of the home and we complete the whole job from start to finish. We even have a skip on site to remove all the unwanted remnants helping us to complete job quickly and efficiently and we can fully tile if required. 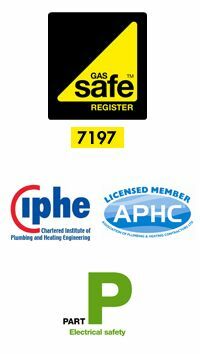 We are fully qualified and registered and approved by Gas Safe, CIPHE, NAPHMSC, Severn Trent Water and NAPIT Electrical. We can complete the whole job from start to finish including the smallest of jobs, from servicing your boiler to a full radiator and boiler change. We also offer kitchen, bathroom, and bedroom design and installation. Please feel free to call us today, we are always here and on hand to help. If you think that A1 Kitchens and Bathrooms Ltd is the ideal company for you then make sure you get in touch with us today. You can call us on 01159 784646. Alternatively, you can fill out the form on the Contact Us page on this website and member of our dedicated team will respond to your query as soon as possible. We look forward to hearing from you soon.